What happens when you add two fractions with different denominators? How do you borrow when subtracting fractions? Why do fractions get bigger when you divide and smaller when you multiply? Most people have a difficult time understanding fractions, because they never took the time to illustrate what is happening when you are working with fractions. 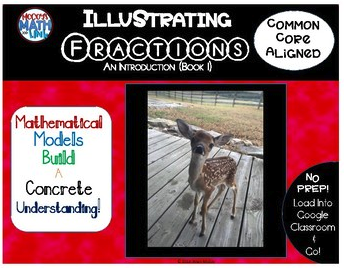 Mathematical Models are the most effective strategy I have ever found for developing a concrete understanding of fractions. When you draw mathematical models, it makes the abstract concepts of math concrete, and then you can understand fractions at a deeper level. One you understand why something works, you will begin to excel, and actually enjoy doing the math. Each and every problem is link to a video tutorial! I have incorporated a cyclical learning approach, where each educational concept is first introduced, then reinforced, then revisited again and again – with each subsequent step rising to the next level of competency. There are 11-steps that take children from the basics of understanding fractions to multiplying and dividing fractions. Read to the end of this post to discover a 50% saving on this series! That fractions are simply parts of a whole! Why you must have common denominators when adding or subtracting! 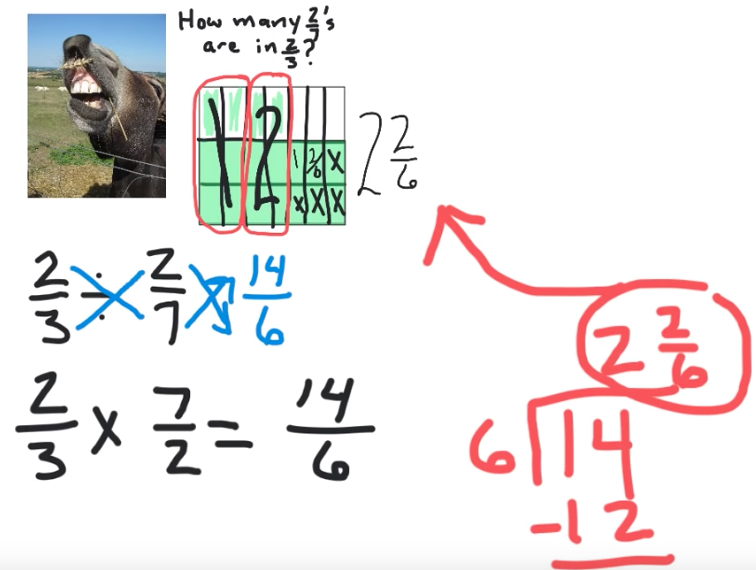 Why an improper fractions is more than a whole, and how to write it as a mixed number! How to borrow from a whole number, to make an improper fraction, so you can subtract a smaller fraction from a bigger one! Why your answer is smaller when you multiply fractions, and bigger when you divide fractions! But Most importantly – you will gain a concrete understanding of fractions, that will help you to excel, and actually enjoy doing the math! When you multiply a fraction by a whole number, the product or answer is actually smaller not bigger. 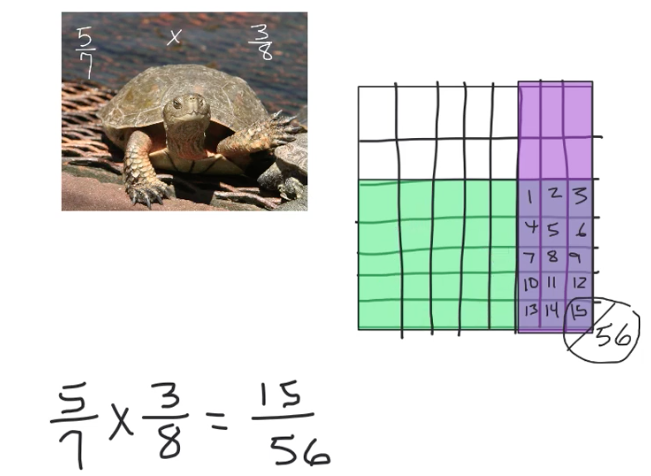 Children who learn only the algorithm, do not gain a concrete understanding of why multiplication is shrinking a number rather than making it bigger. 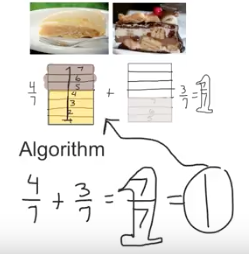 As a matter of fact, I have spoken with many adults who have only memorized the algorithm and didn’t even realize that the answer was smaller. In today’s classroom, memorizing the algorithm is no longer enough – children need to understand why the the math works. You and your mother bake a pan of brownies. You to cut the pan of brownies into 1/6 parts, because they will to six people at your grandmother’s birthday party. You load the brownies into the car. Then, you buckle your puppy next to the brownies. You think your puppy is buckled tight, but you are wrong! When you look back, you see that your puppy has escaped. He is eating some of the brownies. There is only 4/6 of the pan of brownies left. Can you illustrate how much is left? 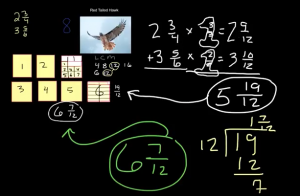 The video below shows how I teach children to illustrate Fractions. First, I have children complete a “Watch Me” problem, like the one above. Once they have completed the video, I have them copy down the entire problem into the notebook. Next, I have students complete a “Work with Me” problem, where Children read the problem, and then watch a video. While watching, children are instructed to pause the video and copy the problem along side me. Finally, I have children complete a number of problems on their own in order to solidify their skills. Once they complete each problem, they are instructed to watch the “On Your Own” video. During these videos, I encourage children to correct their mistakes. Over the years, I have found that children make substantial jumps in understanding when they find their own mistakes and then fix them. That is why I have included this form of teaching into all of my educational books. Check out my interactive ebook! After reading this book and completing the activities, you will be able to draw mathematic models of fractions. This book forms the building blocks of understanding for all books in this series. Adding fractions, like 4/7 + 3/7 can be very confusing. Unless children are taught to illustrate the addition of the fractions, they often never fully understand what is happening with the fractions. This leaves children with a limited understanding, which can be frustrating and confusing as they enter higher levels of mathematics. 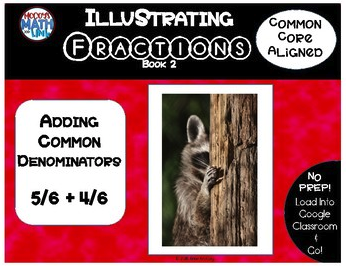 3-Steps to Adding Fractions with like Denominators! 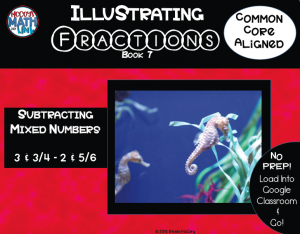 Step 1 – Illustrate the two fractions (4/7 and 3/7) as demonstrated in Book 1. Step 2 – Count up the shaded in parts. In this case, you can create 1-whole by moving the shaded parts from one fraction box to the other. Step 3 – Make sure that your algorithm agree with your mathematical model. In this case, you have 7/7 or 1-whole, which agrees with your mathematical model. You just won the “Math Ninja” award at your school for solving problems about fractions. It’s Celebration time! Your mother made you two special pies to celebrate your awesomeness. One pie is chocolate and the other is lemon. She asked you to cut both pies into 1/7 parts. After cutting the pies you are overwhelmed with temptation. You decide to eat a few slices from each pie. Now there is only 3/7 parts of the chocolate pie and 4/7 parts of the lemon pie. How much pie do you have in all? 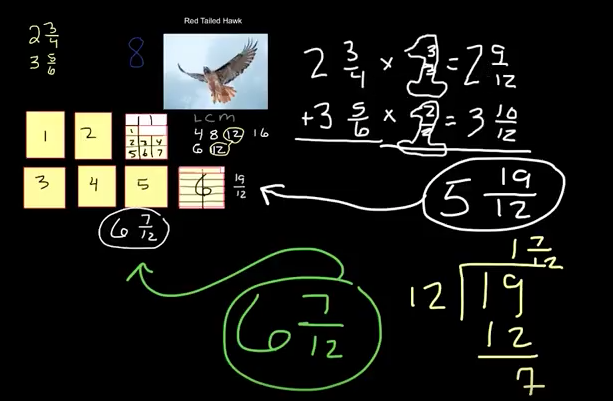 The video below shows how I teach children to add like Fractions. 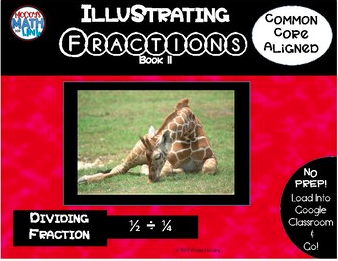 After reading this book and completing the activities, you will be able to add fractions with like denominators. You will be able to draw mathematic models that represent the addition of fractions, effectively proving why your answer is correct. Subtracting fractions, like 8/9 – 4/9 can be very confusing. Unless children are taught to illustrate the subtraction of the fractions, they often never fully understand what is happening with the fractions. This leaves children with a limited understanding, which can be frustrating and confusing as they enter higher levels of mathematics. 3-Steps to Subtracting Fractions with like Denominators! Step 1 – Illustrate the two fractions (8/9 and 4/9). Step 2 – Erase the number of parts indicated by the numerator from the fraction box, (4 is the numerator of 4/9 for this example). Therefore, in this case, you would subtract 4-parts from the fraction box. Step 3 – Make sure that your algorithm agree with your mathematical model. In this case, you have 4/9, which agrees with your mathematical model. You and your three very best friends are invited to the National Go-Kart Race. The race course is 8/9 of a mile long. It twists this way and that; curving around tight corners and then shooting up one hill and down another. You are driving like a pro. You are in the lead. You have completed 4/9 of the course. How much further must you go in order to win the race. 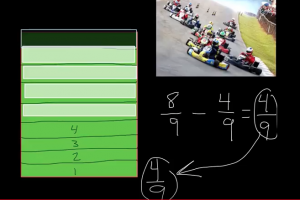 The video below shows how I teach children to Subtract like Fractions. 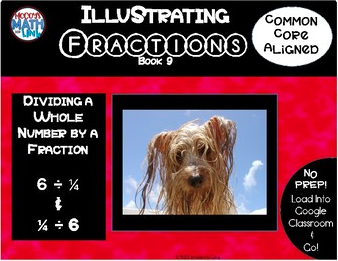 After reading this book and completing the activities, you will be able to subtract fractions with like denominators. You will be able to draw mathematic models that represent the subtraction of fractions, effectively proving your answer is correct. Adding fractions, like 2/3 + 3/4 can be very confusing. Unless children are taught to illustrate the addition of the fractions, they often never fully understand what is happening with the fractions. This leaves children with a limited understanding, which can be frustrating and confusing as they enter higher levels of mathematics. 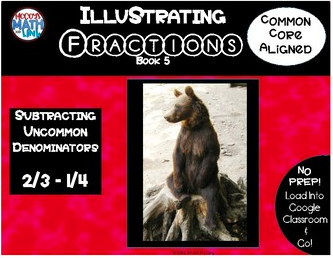 4-Steps to Adding Fractions with Unlike Denominators! Step 1 – Illustrate the two fractions (2/3 and 3/4). Then use your LCM (Least Common Multiple) to convert your fractions, so that they have common denominators. Step 2 – Count up the total number of fraction parts, in this case you would get 17/12. If you move the parts around you can change this improper fraction into the mixed number of 1 & 5/12. Step 3 – Now move to your algorithm. Multiply both 2/3 and 3/4 by the Giant-1, as shown above. This will convert your fractions, so that they have common denominators. Now you can add the numerators. Step 4 – Make sure that your algorithm agree with your mathematical model. In this case, you have 17/12. If you change 17/12 into a mixed number you have 1 & 5/12, which agrees with your mathematical model. You are teaching little kids how to ride mini-motorcycles. Your best rider is Little Pat and he is only 6-years old. Little Pat has entered a race. He has ridden his mini-motorcycle 2/3 of a mile. He only needs to stay in front of the pack for another 3/4 of a mile to win. What is the total length of “Little Pat’s Race”? 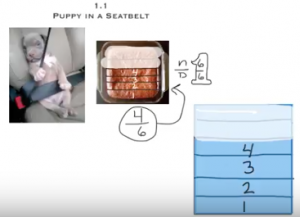 The video below shows how I teach children to Add Un-Like Fractions. 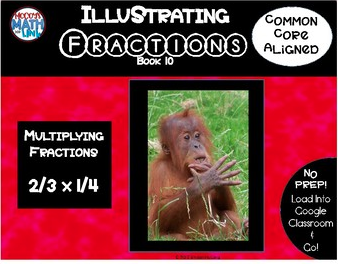 After reading this book and completing the activities, you will be able to add fractions with different denominators. You will be able to draw mathematic models that represent the addition of fractions, effectively proving why your answer is correct. Subtracting fractions, like 2/3 + 1/4 can be very confusing. Unless children are taught to illustrate the subtraction of the fractions, they often never fully understand what is happening with the fractions. This leaves children with a limited understanding, which can be frustrating and confusing as they enter higher levels of mathematics. 4-Steps to Subtracting Fractions with Unlike Denominators! Step 1 – Illustrate the two fractions (2/3 and 1/4). Then use your LCM (Least Common Multiple) to convert your fractions, so that they have common denominators. 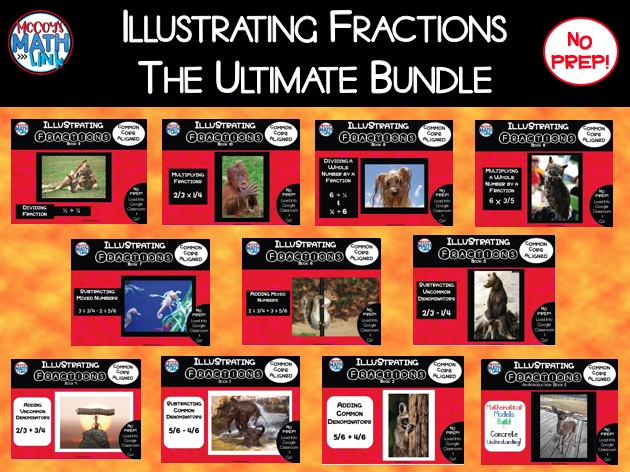 If you’re new to illustrating fractions, you might want to review my first video-post in this series, An Easy Way to Understanding Fractions. Step 2 – Once you have converted your fraction boxes according to your LCM, you’re ready to erase some of your fraction parts. In this case you would erase 3-parts, which leaves you with an answer of 5/12. Step 3 – Now move to your algorithm. Multiply both 2/3 and 1/4 by the Giant-1, as shown above. This will convert your fractions, so that they have common denominators. Now you can subtract the numerators. Step 4 – Make sure that your algorithm agree with your mathematical model. In this case, you have 5/12, which agrees with your mathematical model. Geraldine the Giraffe is a day dreamer. She day dreams most of the day away, while other giraffes are busy stretching the necks to the high branches for food. Geraldine walks around day dreaming about her boyfriend Gary. By the end of the day, she will be very hungry and will have to scramble to get enough food. There is only 2/3 of the day remaining. If Geraldine day dreams for another 1/4 of a day, how much of the day will be left for her to eat? Simply watch the video below to see how this problem is solved. Pay close attention. Your next challenge will be very similar to this one. 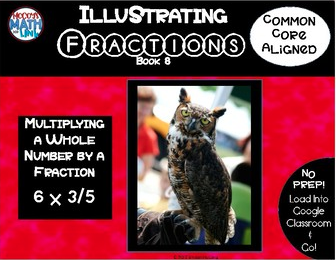 After reading this book and completing the activities, you will be able to subtract fractions with different denominators. You will be able to draw mathematic models that represent the subtraction of fractions, effectively proving why your answer is correct. Adding mixed numbers, like 2 & 3/4 + 3 & 5/6 can be very confusing. Unless children are taught to illustrate the addition of the fractions, they often never fully understand what is happening with the fractions. This leaves children with a limited understanding, which can be frustrating and confusing as they enter higher levels of mathematics. 4-Steps to Fully Understand Adding Mixed Numbers with Unlike Denominators! Step 1 – Illustrate the two fractions (2 & 3/4 and 3 & 5/6) and use your LCM to change the fractions so that they have common denominators. Step 2 – Add the fractions boxes to solve the problem. Step 3 – Now, move to your algorithm. Use the Giant-1 to convert your fractions, so they have common denominators. 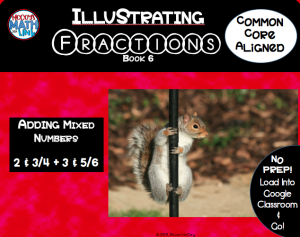 Step 4 – Add your whole numbers and your fractions to solve the problem. Make sure that your algorithm agrees with your illustration. You are on a hike when you see a Red Tailed Hawk souring across the sky. It is absolutely beautiful! The hawk is circling round and round in two circles that form an 8. The upper portion of the Eight is 2 & 3/4 miles around. The lower portion of the Eight is 3 & 5/6 miles around. How far does the Red Tailed Hawk fly each time he completes his figure-8 shape in the sky? After reading this book and completing the activities, you will be able to add mixed number fractions with different denominators. You will be able to draw mathematic models that represent the addition of mixed number fractions, effectively proving why your answer is correct. 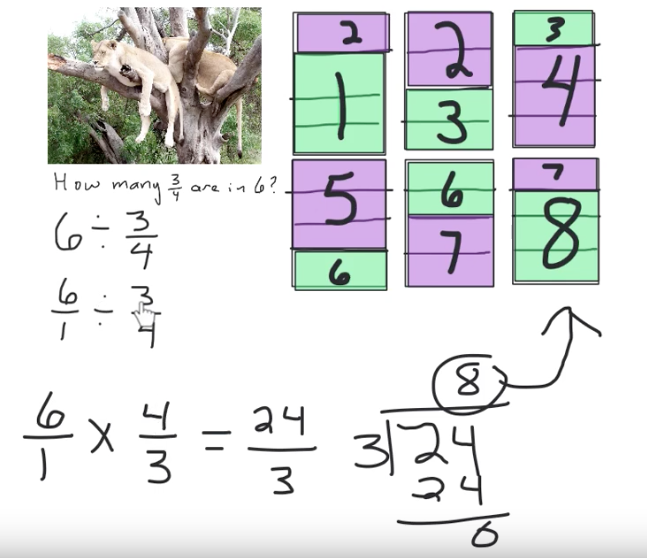 Subtracting mixed numbers, like 3 & 3/4 – 2 & 5/6 can be very confusing. Unless children are taught to illustrate the addition of the fractions, they often never fully understand what is happening with the fractions. This leaves children with a limited understanding, which can be frustrating and confusing as they enter higher levels of mathematics. 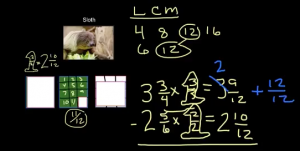 4-Steps to Fully Understand Subtracting Mixed Numbers with Unlike Denominators! 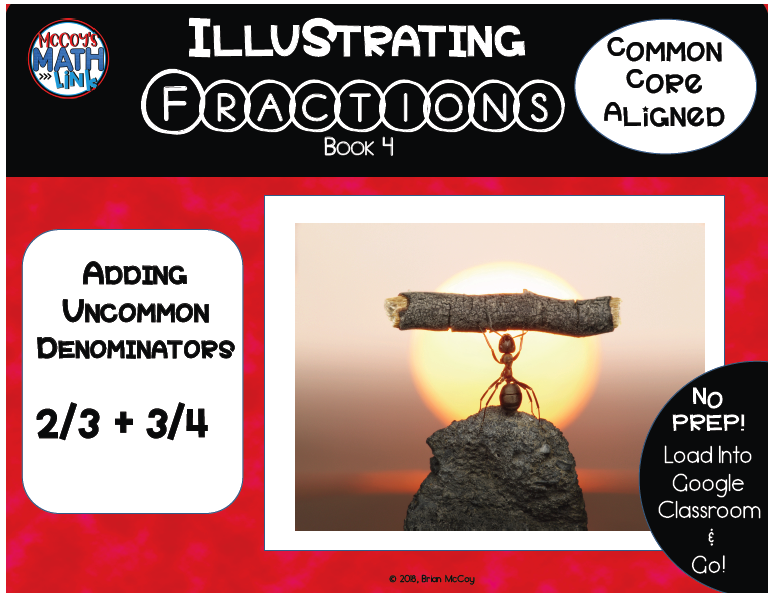 Step 1 – Illustrate the two fractions (3 & 3/4 – 2 & 5/6 ) and use your LCM to change the fractions so that they have common denominators. Step 2 -Once you have converted your fraction boxes according to your LCM, you’re ready to erase some of your fraction parts. 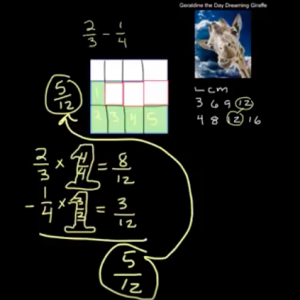 In this case you need to convert one of your whole-fractions boxes into 12/12 as shown above. Then erase 10-boxes, which leaves you with an answer of 11/12. Step 4 – Subtract your whole numbers and your fractions to solve the problem. Make sure that your algorithm agrees with your illustration. You are on vacation in the rain forest of South America. You discover a slow sloth clawing across the ground. He is headed for a large tree 3 & 3/4 yards away. You watch his slow progress as he moves one foot in front of the other. After a full minute the slow sloth has only traveled 2 & 5/6 yards. How much further does your slow moving sloth have to travel before he reaches his tree? After reading this book and completing the activities, you will be able to subtract mixed number fractions with different denominators. You will be able to draw mathematic models that represent the subtraction of mixed number fractions, effectively proving why your answer is correct. Multiplying a whole number by a fraction, like 2/3 x 5 can be very confusing. If you are multiplying, why is the answer smaller than 5? Unless children are taught to illustrate the addition of the fractions, they often never fully understand what is happening with the fractions. This leaves children with a limited understanding, which can be frustrating and confusing as they enter higher levels of mathematics. 3-Steps to Fully Understand Multiplying a Whole Number by a Fraction! Step 1 – Create your fractions boxes. In this case you would create 5 whole boxes. Then cut each box into 3-parts. Step 2 – count your fraction parts. In this case you would have 10/3. If you move the shaded parts, you can make 3-wholes and have an extra 1/3. Therefore you answer is 10/3 or 3 & 1/3. Step 3 – Now, move to your algorithm. Convert your whole number into a fractions, and then multiply your numerators and denominators. In this case you would get 10/3 or 3 & 1/3, which agrees with your mathematical model. You are a scientist studying the strange occurrence of a kangaroo that drinks nothing but Evian water. You are tasked with the job of making sure that the kangaroo drinks the correct amount of water. You have 5 bottles of Evian water. You must feed the kangaroo exactly 2/3 of the Evian water. How much water will you give the kangaroo? After reading this book and completing the activities, you will be able to multiply a whole number by a fraction (ie: 6 x ¼). You will be able to draw mathematic models that represent the multiplication of the whole number and the fraction, effectively proving why your answer is correct. Meet the laziest pride of lions in the entire continent of Africa. This pride of cats has found 6 trees that overlap with thick branches intertwining from one tree to the next. The Lazy Lions divide each tree into 3/4 parts. Each lion gets 3/4 of a tree for napping. How many of these Lazy Lions are sleeping in the trees? * Hint: How many 3/4’s are in 6? After reading this book and completing the activities, you will be able to divide a whole number by a fraction (ie: 6 ÷ ¼). They will be able to draw mathematic models that represent the multiplication of the whole number and the fraction, effectively proving why your answer is correct. his friendly nature to all his friends? After reading this book and completing the activities, you will be able to multiply a fraction by another fraction (ie: ½ x ¼). You will be able to draw mathematic models that represent the multiplication of fractions, effectively proving why your answer is correct. Terrance loves his alfalfa, but his owner keeps tickling his nose. His owner loves Terrance, but he can’t help tickling his favorite mule. Each day, Terrance eats 2/3 pounds of alfalfa. His owner divides the alfalfa into portions that are 2/7 pounds, how many portions will Terrance get to eat? Hint: How many 2/7’s are in 2/3? After reading this book and completing the activities, you will be able to divide a fraction by another fraction (ie: ½ ÷ ¼). You will be able to draw mathematic models that represent the division of fractions, effectively proving why your answer is correct. Purchase the entire series and get 50% off! I’ve created an Educational Fantasy Game called, TeachersDungeon. It is set to the Common Core Educational Standards, and is web-based, so it can be played on any device. Many of the questions are accompanied by tutorials like the ones you saw here. I have a series on division that is specifically designed for children who do not have all of their multiplication facts memorized. The series is designed in a similar manner to my series on fractions, where each and every problem is linked to a video tutorial. Here is a link to my series on Division. Looking for a Children’s Book or a Young Adult Novel? I have also written a couple of books that are available on Amazon. 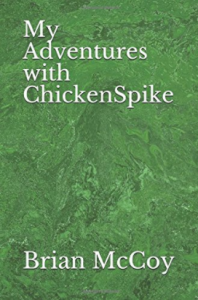 My Adventures with ChickenSpike is intended for children ages 7 to 10. 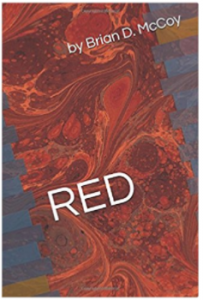 Red is a young adult novel intended for children ages 11 to 13. If you like this post and found it helpful, please click one of the share buttons for FaceBook, InstaGram, or LinkedIn at the top of this post. You can also leave a comment. I would love to hear how this this post and/or my books have helped. As a teacher, perhaps the greatest reward I receive is from parents, children, and fellow teachers who use my strategies of education and succeed. My mission in life and as an educator is to make people feel empowered, self-assured, and happy about who they are in this world! We all have gifts to bestow upon our world. Go forth and do so, and know that you are awesome! 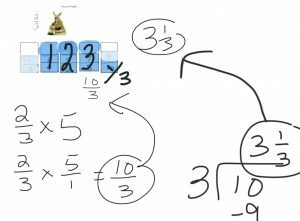 Next 3-Simple Steps for Multiplying Numbers like 736 x 8! Is there any updates coming soon from this site? I am sorry for the delay. At the end of the school year (last year), I was asked to create a series on my method of teaching division. We have a number of students at my school who struggle with long division, and I have created an alternative called area division. I created the series, but it took me all summer to complete it. 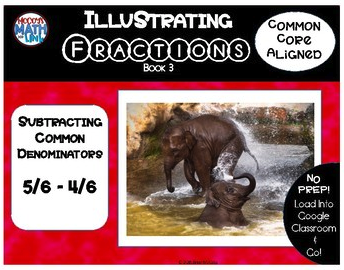 Now school is back in session, and I am teaching full time, but I will do my best to complete this series on fraction. Thanks for reminder that I need to get back to work on fractions. Hi Brian, your “11-Steps to FULLY Understand Fractions” is so brilliant. You have a very profound knowledge on fractions. You have presented a lot of ideas on how to deal with fractions. This is very helpful to all kind of students and also to all teachers. Regarding adding and subtracting fractions, let me also share my idea on how to deal with fractions. Thank you for your kind words and great advice. I really like your suggestion to practice working with fractions until it become easy. I also like your suggestion to solve problems and then check your work with the the fractions calculator website.